On 19 April 2016 family members of eight disappeared young people from Bardiya District filed an application for additional interim relief promised by the government as a result of views issued by the UN Human Rights Committee (HRC) in their case. The HRC found in July 2015 that Nepal was responsible for the disappearance of the eight young people and a violation of the prohibition of torture and other ill-treatment against their family members for the pain and suffering caused by the uncertainty about their loved ones. It recommended that Nepal carry out a full investigation and provide detailed information to the families, prosecute and punish those responsible, and provide effective reparation to the victims, including adequate compensation, rehabilitation and measures of satisfaction publicly acknowledging the violations. In its response to the Committee, the government reported that the Council of Ministers has taken a decision to provide the family members with an additional NPR 100,000 in interim relief pending further reparation measures. The family members have made it clear that the provision of this small amount of interim relief in no way meets the government’s obligations to provide adequate reparation for the crimes, but have filed the application as a first step in the process to assist with immediate needs. 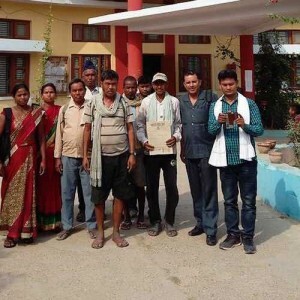 The application was filed at the District Administration Office, Bardiya, and has forwarded with a letter from the Chief District Officer to the Ministry of Peace and Reconstruction requesting payment. For more information about the case see here.